UPDATED: Mon., Jan. 8, 2018, 8:35 p.m.
For nearly the entire 21st century, through a combined 33 NFL and NBA seasons, I have rooted against Tom Brady and LeBron James. Uh, how has that worked out? I guess it’s time to start celebrating them. Before we do that – and I promise I am going to say some very, very, very, very, very nice things about these two iconic athletes – let me remind readers why I yell at my embarrassingly small flat-screen TV every time either one of them has the ball in his hand. I reside in Los Angeles. Both of them – though they work in the Eastern time zone – have second homes in L.A. They both live in Brentwood, a neighborhood I can’t afford to even drive through. Brady’s home, which he built with his wife Gisele Bundchen – well, they had someone build it for them, I suppose – is a 22,000-square-foot compound, with eight bedrooms and a six-car garage, plus a wine cellar, chicken coop, pond, moat, bridge, playground and laguna-shaped swimming pool. LeBron’s $23 million home also has eight bedrooms, with 11 bathrooms, a theater room, cigar room, steam room, massage room, sauna, top-of-the-line gym, rooftop terrace with direct elevator access, wine cellar and onyx bar. By the way, if I can go back to Brady for a moment, when you leave one supermodel to marry another, where does that leave the rest of us? In Palookaville, that’s where. May all of Tom and Gisele’s kids grow up to work for the Department of Water and Power. LeBron and Brady also are corporate monsters. LeBron endorses just about everything – Nike, Kia, McDonald’s, Coca-Cola, Samsung, Beats by Dre. Brady, meanwhile, usually sticks to high-end products – he endorses a luxury mattress, for goodness sakes. While we might begrudge LeBron and Brady their wealth, fame and God-given athletic skills, we must admire their hard work and perennial success. Theirs is sustained excellence. They have defined this millennium, even more so than climate change and kale smoothies. LeBron and Brady have been so good for so long, either could make the hall of fame on either half of his career. It calls to mind Louis XIV, king of France from 1643 to 1715, who could’ve made the Monarch Hall of Fame for any of the three 24-year periods of his reign. Incredibly, as they have gotten older, both have maintained an elite level of play. LeBron, in his 15th NBA season, is averaging 27.6 points, 9.1 assists and 8.2 rebounds per game at age 33. Brady, in his 18th NFL season, has had a passer rating of 100 or better the past three years – and he just turned 40. 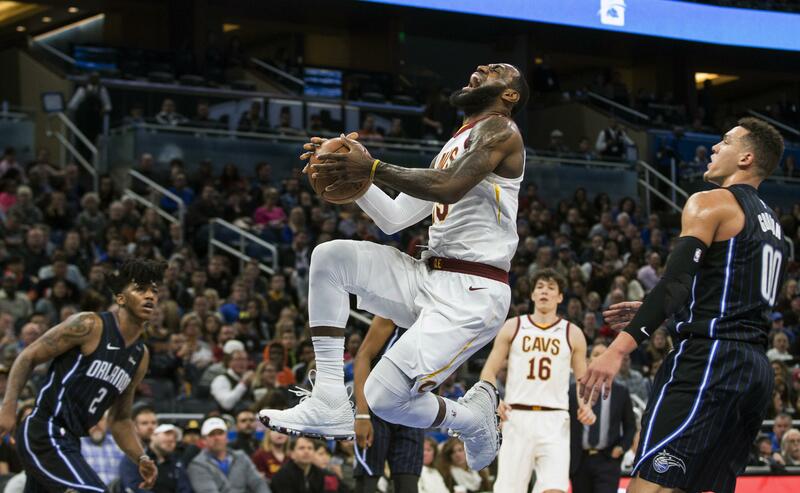 LeBron: A record 14th straight season averaging 25+ points a game; sixth all-time in triple doubles; only player in NBA history in top 10 all-time in points and assists; four-time MVP. Brady: 97.6 career passer rating; third all-time in passing touchdowns; fourth all-time in passing yards; two-time MVP; four-time Super Bowl MVP. And it seems like these fellas never lose, which is quite annoying to most of the nation outside of New England waiting for the Patriots to do nothing but lose. Brady has a 196-55 career record, with five Super Bowl titles. He benefited from the Tuck Rule Game en route to Super Bowl 36, from the Seahawks’ last-second brain fart in Super Bowl 49, from the Falcons’ second-half meltdown in Super Bowl 51, plus his Patriots won three games this season when opponents’ touchdowns were preposterously overturned by replay. Heck, if Brady ran for office and lost by 3 million votes, he’d just ask for a recount and win. Then there’s LeBron – three-time NBA champion, with eight NBA finals, including the last seven in a row. At this point, I may as well root against Amazon. A. I’m just thrilled that any time Gruden is on “Monday Night Football” in the next 10 years, he won’t be broadcasting. A. If during a commercial break, the catch has to survive the Toyotathon jingle. Published: Jan. 8, 2018, 7:42 p.m. Updated: Jan. 8, 2018, 8:35 p.m.